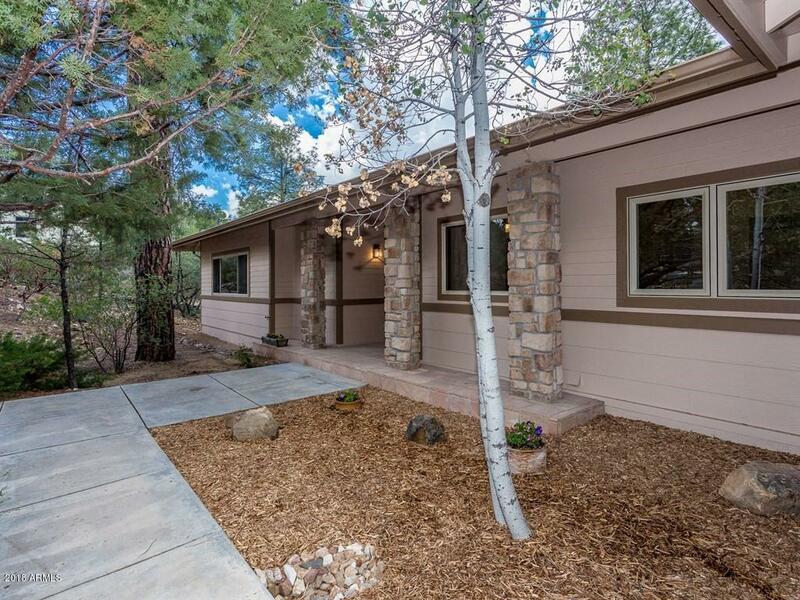 Spacious home with captivating views in a lovely forest setting of tall Ponderosas! Easy one-level living with master and guest bedroom on the main floor, and an additional bedroom, family room, and den on the lower level. A large covered view deck and a sheltered patio below invite outdoor enjoyment. Airy and bright, with a lot of storage space, the home offers wonderful livability. With new exterior paint, new carpeting, kitchen updates, and attentive care, this sparkling home is move-in ready and awaits your personal touches!